Southwest to Announce the Start Service to Hawaii as Early as October 2018! There’s no doubt a lot of y’all have been waiting patiently (or impatiently? 😉 ) for the opportunity to book Southwest flights to Hawaii. Earlier this year we thought flights would begin this month, August 2018. But that clearly didn’t happen. The exciting news is, we more information about when these flights will begin! And exactly which Hawaiian islands Southwest will be flying to! Get Your Flip-Flops Out, Southwest Will Start Its Service to Hawaii Very Soon! 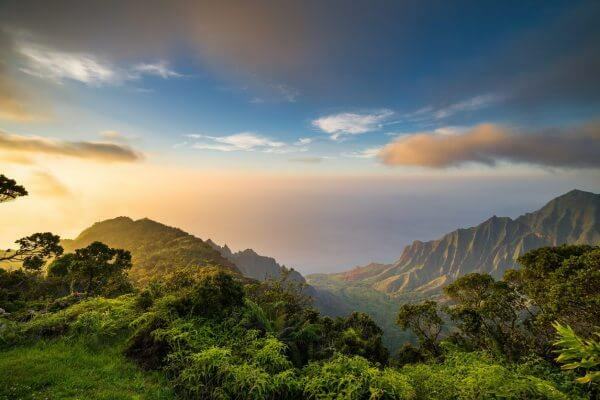 Beat of Hawaii reports that Andy Watterson, Executive Vice President; Chief Revenue Officer for Southwest commented that the airline plans to announce the launch of flights to Hawaii sometime in October. And that flights could begin operating soon thereafter. Mr. Watterson also revealed that Maui and Honolulu would likely be the first two destinations Southwest will serve. But that they’d like to start flights to Kona and Lihue before the year’s end. In addition, he confirmed the first departure cities will be Oakland, San Diego, San Jose and Sacramento. But they plan to add Los Angeles and Ontario and/or Long Beach very soon, too. This is great news, because it means even more flight options! Plus, they plan on continuing to offer some of Southwest customers’ favorite perks like free checked bags and no change fees. That’s yet another reason this launch is so exciting. Stay tuned for more updates as we learn more! What do you think about this news? Do you plan on using your Southwest Companion Pass to bring someone with you for nearly free to this magical destination? Last I knew, Maui and Honolulu are islands, not cities. I think you may be confusing the start if selling tickets and the start if actual service. Southwest hasn’t even started selling tickets yet – a process that happens 6-9 months before the flights operate. In addition, they have not started training their crews for the special certification it will take to get to Hawaii. I’m excited too, but we must temper that with reality. I have been waiting for this as my daughter lives in Honolulu. Woohoo! Thanks for commenting Barbara. I’ve been really excited about the Southwest Hawaii flights too! When will we be able to purchase tickets to Maui? Good question Lee. I haven’t seen any news on when tickets can be purchased. For that matter, I’m not even sure the company has released any info on specific flights yet either. I would guess we should hear more info in the coming month or so. 9:02 pmAugust 9, 2018 Rhonda P.